What is the true nature of Dutton’s politics? It seems an obvious question, until you realise the level of hatred and fury directed at Malcolm Turnbull from the Liberal right wing has been utterly inexplicable. The specific belief system of Dutton, Abbott and Co is baffling. How did Eric Abetz get donors' email address? Turns out GetUp just straight up told him — something that they had quite openly said that they would do. Good morning, early birds. Victoria Police officers caught on camera "taking down" a disability pensioner. Plus, a merry band of coal-happy backbenchers plan to confront the Prime Minister over his apparent lack of interest in the combustible rock. It's the news you need to know, with Chris Woods. 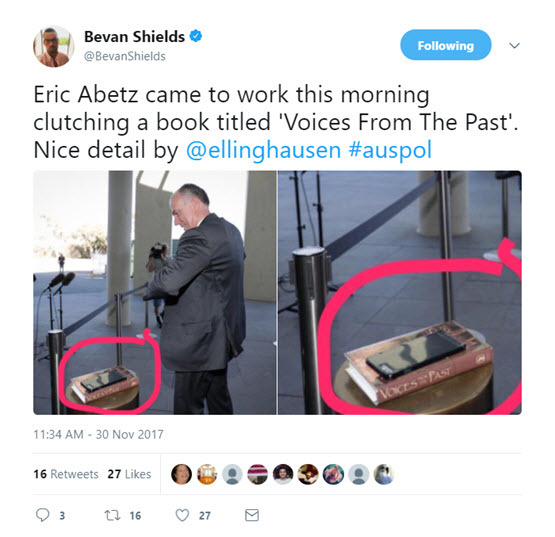 Eric Abetz and the right have long tried to have GetUp taken off the political map, and have resorted to some pretty interesting tactics. The No campaign likes to portray itself as the enemy of the elites. Have a look at their backgrounds: they're all elites themselves.